Unicycle. One wheel! Bicycle. 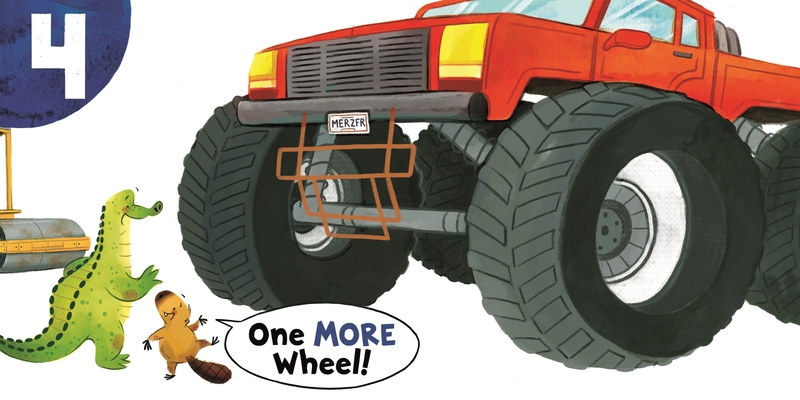 One more wheel! Tricycle? Nope! Steamroller! One more wheel! 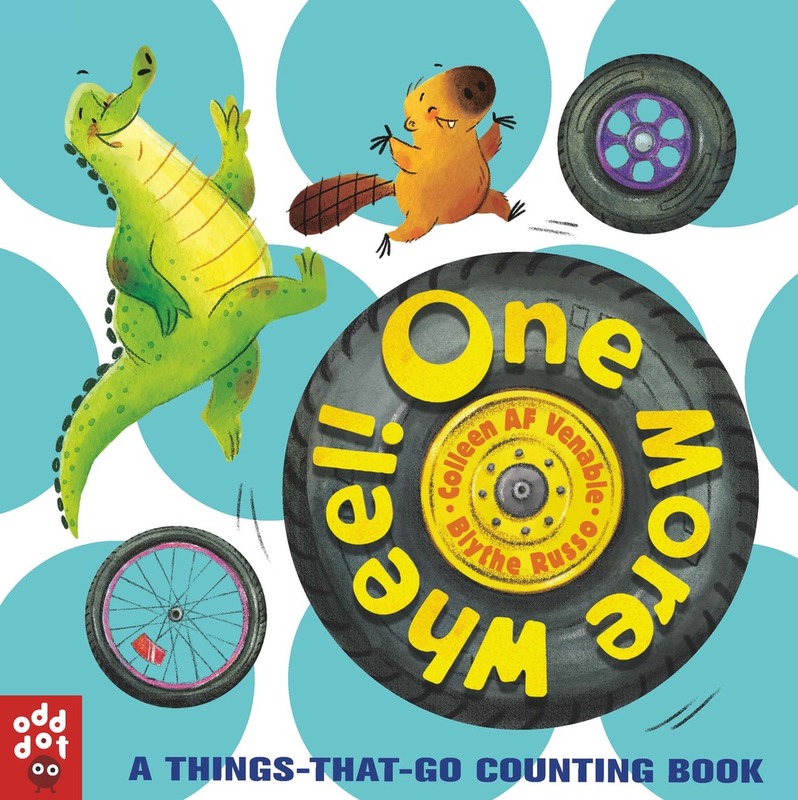 In this novelty concept book with a moving multi-wheel cover, readers spin their way through a tale of two animal friends competing to find the vehicle with more wheels. Simple text and expressive artwork make this counting book an absolute delight for toddlers learning to count from one to ten. A new and often unexpected vehicle appears on each spread, from rollerskates to a jet. Readers won't be able to guess what's on the next page! 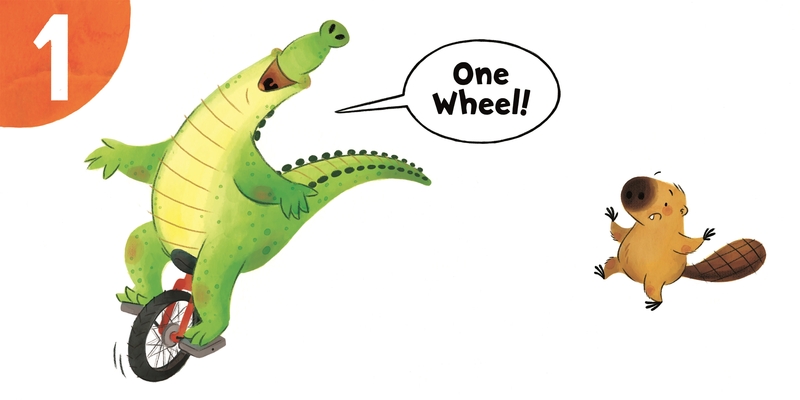 A final spread expands to reveal a train with "all the wheels" and the two friends celebrating together. Blythe Russo is an illustrator, puppet-builder, and avid baker. She holds a masters degree in illustration from the Savannah College of Art and Design. A midwesterner through and through, Blythe currently lives just outside of Cincinnati, Ohio. On Thursdays evenings you can find her on Twitter as one of the moderators of the weekly #kidlitart chat. Blythe is also an active member of SCBWI and a huge supporter of her fellow authors and illustrators. This is her debut as an illustrator.